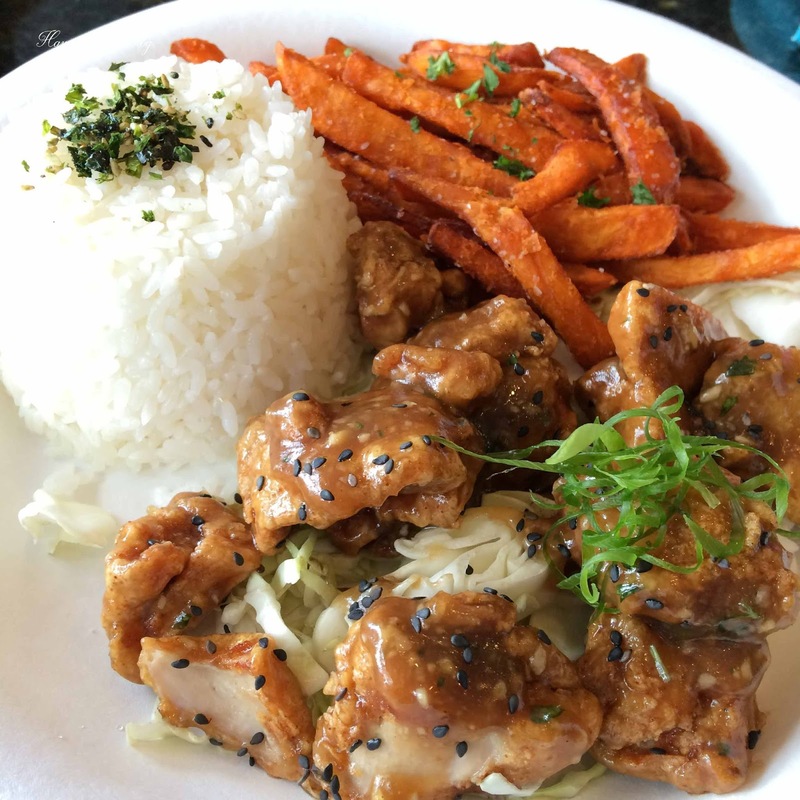 I recently had lunch with a friend at Pono Plates, which opened in Pearl City earlier this year. 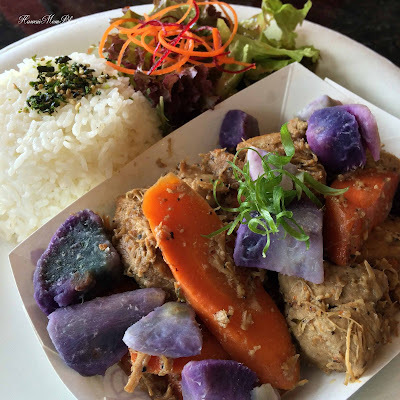 Pono Plates focuses on serving customers healthy, tasty options that are heart-healthy, gluten-free, diabetic-friendly, vegetarian-friendly, and/or paleo-friendly. I had the taro cakes (vegetarian-, heart- & diabetic-friendly), and it was super delicious! 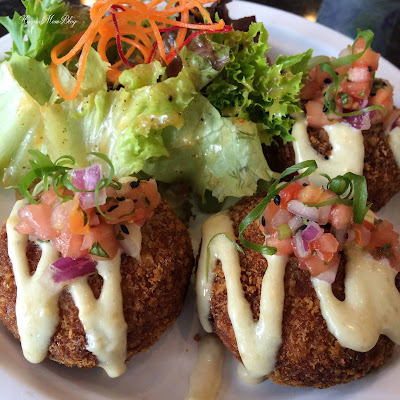 The taro cakes were nice and crispy on the outside, but soft and tender on the inside. They were seasoned well, and the accompanying dressing was the perfect complement. The garlic chicken (treat-friendly) is actually served spicy, but because our kids were going to eat it, the employee taking our order said she could request the spicy sauce to be left off. The chicken was so tasty. The garlic sauce really shined, and was not too overpowering. My friend said the adobo was okay - the vinegar taste was a little too strong for her liking. Service was good, and I really enjoyed the food. Healthy food can look beautiful (love the colors of all the different foods that were in each dish) and be very delicious! I'd definitely order the taro cakes and garlic chicken again!